A fun Maths game for younger children. 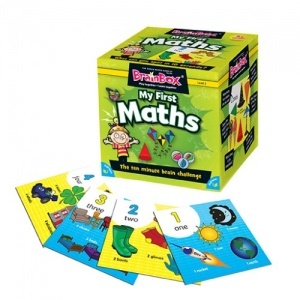 Each of the cards features an important maths topic covered in in early years and key stage one. For example, numbers up to 20, shapes, time, money and simple graphs are just a selection from the 55 cards. Developed by an experienced primary school teacher, this game can be played individually or in groups is great fun!